Tonight we are getting on a train to travel to a special place. A familiar home or a foreign country... we’re not sure which. Yuriy and I were both born in Ukraine and moved to the States at a very young age with our families. 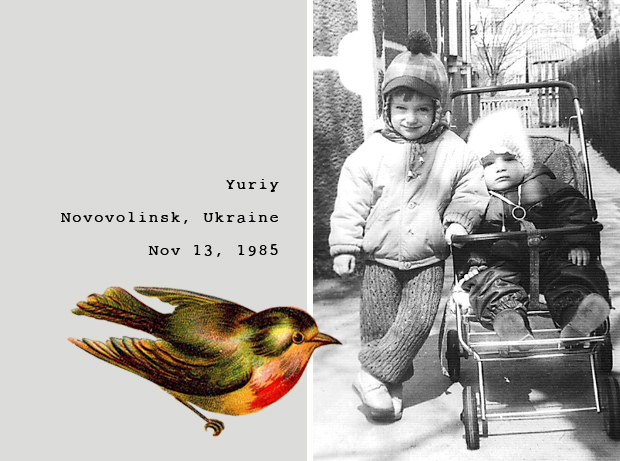 I left Ukraine on my first birthday, and Yuriy at age 6. We’ve never been back. Although I have absolutely no recollection of my home country, I feel like I know it fairly well. The majority of my [large] extended family lives in America and we all attend Slavic churches (believe it or not, there are so many). Thus, I have more than enough Ukrainian friends. I grew up on borsht, vareniki, and olivye. I didn’t speak a lick of English when I entered kindergarten in America, but picked up quickly from my peers. 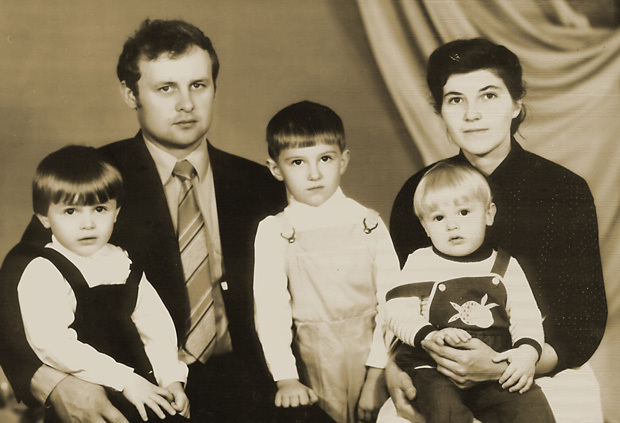 I was forced to speak Ukrainian at home by my parents all through my childhood and sent to Ukrainian and Russian school classes at my church once a week. Over the years my Ukrainian has stayed elementary and English has become my primary language. My parents have become fairly Americanized in 20 years of living in this country, and don’t hang Russian rugs on the walls anymore or wear leather jackets with athletic pants. They now own a TV and microwave (although they’re fairly recent). They don’t force us to translate for them and my mom cooks some Americanized dishes. We shower more than once a week and now shopping at thrift stores is cool, not embarassing. The Ukraine my parents talk about existed during the Soviet Union, prior to the fall of communism. They speak of wooden outhouses, large gardens, backyard wells, and several mile long walks to school. They tell us their experiences with Christian persecution in school and at work by communist atheists. 90% of the photos our family has from Ukraine are black and white, and look like they’re over 50 years old. I imagine Ukraine to be an ancient place frozen in time. The Ukraine my parents remember and talk about has changed in two decades, but we didn’t see it evolve. I don’t know whether to expect an ancient village stuck in the past where my parents once lived or a modern country like the others we’ve recently seen in Europe. I’ve never experienced my native language in a country where everyone knows it. Usually I revert to Ukrainian when I’m speaking to a friend at a grocery store and don’t want to be overheard/understood. It’s always been my secret language (especially while growing up in Idaho, where Ukrainians were few). Will it feel like home? A foreign country? A far away memory? De ja vu? A dream? Will every old woman remind me of my grandmothers? I can’t wait to get a taste of my heritage and hope to learn more of Ukraine’s history. I’m nervous to practice my Ukrainian and miss all the cultural jokes and slang. I’m looking forward to familiar food that will (hopefully) taste like my mom’s. I feel so fortunate to experience this with Yuriy, who will completely understand, without me having to explain a thing. julia & yuriy - i stumbled upon your blog a few weeks ago and have really enjoyed keeping up with your photos and updates. i just wanted to say i'm so excited for you and your first trip back to your homeland. i have a similar past, being born in communist vietnam and leaving at a young age, going to language classes at church on weekends, learning english in kindergarten. i hope that your return to your homeland will be very special. and how wonderful that it is home for both of you. i look forward to hearing all about it. What an incredible adventure you two are on! Safe travels. I can't wait to hear your impressions on Ukraine! I look forward to doing the same when I go back to Novosibirsk, Russia. Although my fiancée is an American he want to see my home town and the house I grew up in. I hope you get to practice your Ukrainian and get to eat lots of tasty dishes, even if they do not exactly taste like Mom's. you may be surprised how much of Ukraine IS frozen in time. There are still wooden outhouses, and many people still drive those government issues vehicles shown in the photo of your parents. You will love it. If you go to Kiev, be sure to visit the monestary complex where you can visit the catacombs, and weep at the architecture. 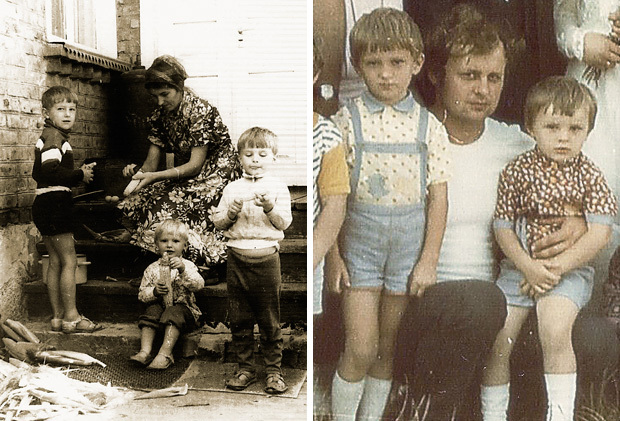 My family is also from Ukraine- it is a country alive with memories, and unsure of its future. An extraordinary place. travel safe. You pretty much just described my childhood! I came to Canada from Russia with my family at the age of four (25 now) and can even relate to the big bows in the 4th photo! I also haven't been back to Russia since coming here (although my parents have many times) - but I plan on going soon! Have fun! I'm so happy to hear you're going to Ukraine. I'm sure I saw a comment a few weeks ago where you said you wouldn't be visiting Ukraine and even I was slightly disappointed, because I'd LOVE to see the (no doubt) amazing photographs you will take! It's great that you will experience it together and, as you said, not need to explain anything! Hope you have a wonderful time and that it's not too cold. what a beautiful post! so beautiful that both of you are from the ukraine and found each other! thanks for sharing this julia. Oh My! I feel so left out. I was eleven when we left, that means I'm way overdue for a visit.. Hopefully one day.. Have fun exploring. These photos are wonderful. I hope it turns out to be an amazing time...have fun! WOW! That is so cool and I am sure you head is buzzing with a million questions. I bet it will feel like a foreign country but also like home. That is so awesome that you and Yuriy get to have this experience together and also understand it together, I think it will make it that much more special. Have a safe train ride and I can't wait to read all about it. That is so interesting that you are from Rovno (or your parents). 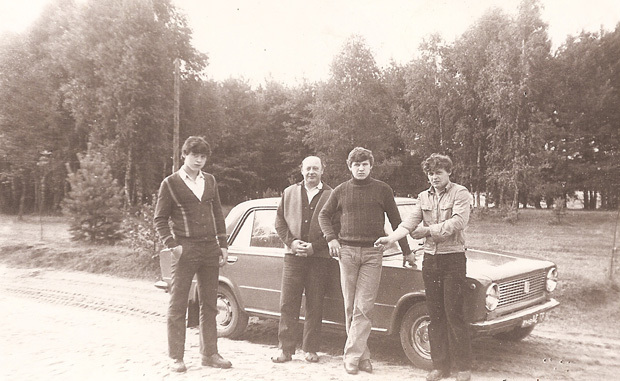 We moved to US from a small town near Rovno, called Kostopil. And as I looked at your parent's pictures they looked really familiar. I wonder if my parents know your parents :) . What is your maiden name? I like the old photos, but where are the smiles? We are in Ukraine now (as of this morning) and it feels so special. I have so many emotions today. Thank you to those that spoke up about how you can relate to our story (Julie, Lorriane, V, Sveta, Natasha). We can't wait to experience more and are SO glad we decided to come up. Natasha- One of my parents is from Kostopil! My maiden name is Lukomsky and my mom's is Burich. 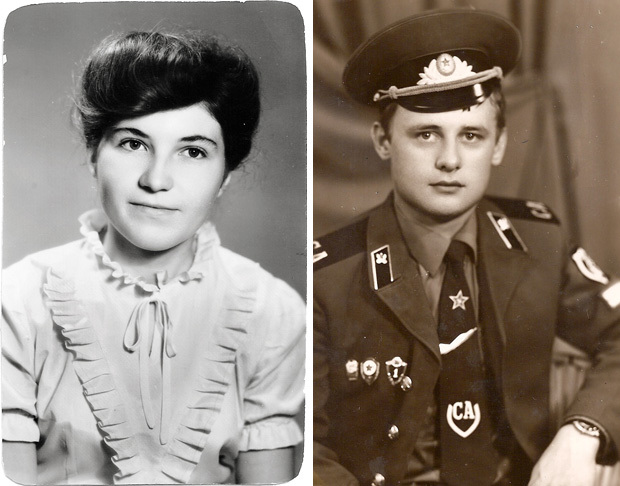 I don't know how, but Ukrainian parents always seem to know each other or have some sort of connection. It's bizarre. Ash- You noticed! Ukrainians smile when there's no camera. It doesn't really make sense, does it? this is such a beautiful post...it must be such an overwhelming experience to be back in your home country and that of your parents and ancestry. i hope you soak it all in and your stay is everything you hope it to be and so much more. So awesome you guys are finally going back, We moved to the states form Ukraine in 1989 and sadly never been back. Its always been my dream to go back and see where i was born and where my parents lived and grew up. I'm sure you guys will have an amazing experience. Loved the pictures.. I love looking through my mothers scrap books of all sorts of pictures like you have above. Also the flower and bird you posted is just like her cut outs in her scrapbook. Love it!! Hope you two have a great adventure!! Jules I'm so excited for you! I for some reason had no idea you were going "back home." Reading this post made me emotional and hopeful for you. I'm so glad you get to see things you've only heard about. It must be an incredibly exhilarating experience! I can't wait for more! Adorable pics of you two. Lucky to be visiting Ukraine. I definantly want to visit one day myself! Hi Julia and Yuriy! I came across your blog a couple months ago and have been following it since. When I saw that you were from Ukraine, I got really excited. 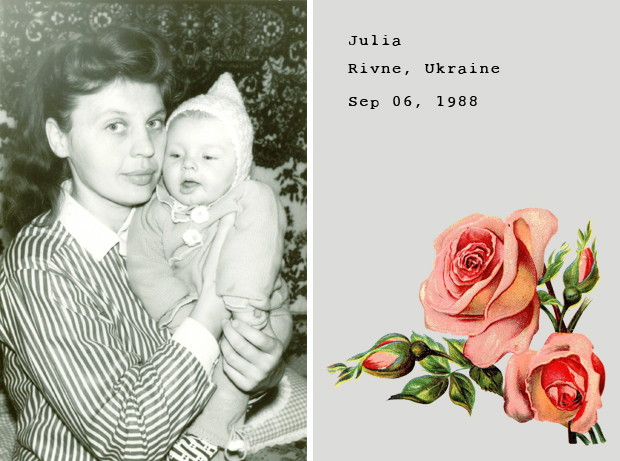 My sister just went into the Peace Corp. a few months ago and was sent to Ukraine..and when I saw that you were born in Rivne, I just had to write. My sister was just stationed in Rivne! So crazy..of all the places. Anyways, I'm sure you guys have probably moved on since then..but I really look forward to seeing your pictures from Ukraine. God bless you both! Kayla- Your comment was so special, especially since you and I grew up teaching each other our languages and cultures. Irina- How cool that we're from the same area in Ukraine and now we only live a few hrs apart in the States (we're in Seattle). Thanks for saying hello. Kayla- You should visit your sister in Rivne while she's stationed there! Excited for you to see our photos so you can visualize it better. They'll be up in 1 or 2 weeks. I am definitely planning on it..hopefully this next summer. Also, I see that you guys are from Seattle, which is where I go to school. Oh the connections...life is funny that way.